The New Year has arrived and with it the next generation of the V12 flagship Lamborghini, the Aventador S. As usual, this machine has some very impressive stats. The naturally aspirated V12 now outputs a staggering 740HP and all these horses will propel you from 0-100 kph in just 2.9 seconds – and keep on pulling until you hit an eye popping 350 kph. I’m sure to the average Joe on the street there aren’t any noticeable visual differences. If you take time to study the new body, however, you’ll notice there’s a more aggressive nose and longer front splitter which make this very aerodynamic car even more aerodynamic. 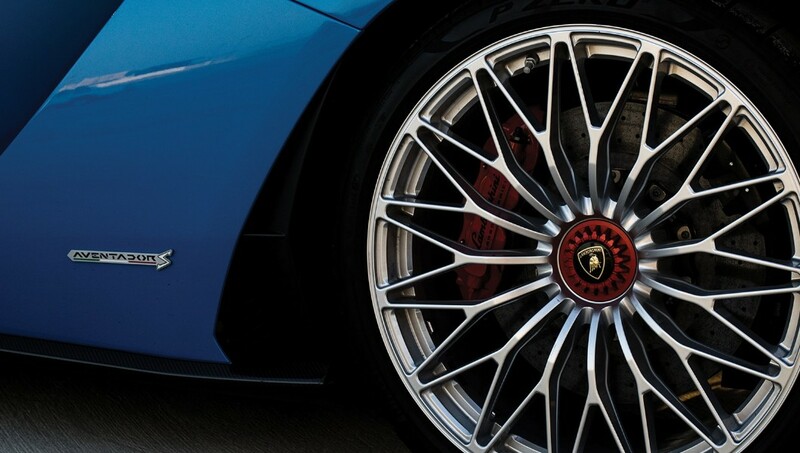 For the Lamborghini connoisseur you may also notice the lines of the rear wheel arches are reminiscent of the original Lamborghini Countach. There’s no doubt this is still a poster car. However, is it prettier to look at than drive? Is it closer to a piece of art than a driving dream? Honestly speaking, both yes and no. It’s a beautiful car, there’s no denying. Those angles are iconic. I’ve lost count of the number of times I’ve been the unwanted figure in passer-by’s photos as I sit at traffic lights or cruise down the highway. While parked, Johnny Public are like moths to a flame. They can’t help but gravitate towards the car, yet they rarely touch it. Just like a piece of fine art, it’s to be admired, soak in the visuals of this masterpiece. Late one afternoon when I was waiting for our photographer to arrive, the parked car once again attracted attention. A father and son were enamoured with it. Again, just looking, too scared to touch. The father explains he’s “never been as close to a car like this”. I offer him to look inside. As the door opens he gasps. I’m sure everyone agrees those Aventardor S’ doors are special. I then instruct him to take a seat. He was extremely reluctant, as though sitting in it would break it, but eventually he sits behind the wheel for a minute or so. Upon exiting the car he can’t thank me enough for the experience. That’s the power the Aventador S has. It doesn’t need to move or even be on and it can give you a thrill. Just like an art lover that has their favourite painting or sculpture. Simply being next to it is a natural high. Driving this car isn’t quite like driving anything else. It’s hard, old fashioned, tiring and a bit cramped. It’s also fun, engaging, thrilling and a sensory onslaught. I’m not going to try and sell you this car as a daily driver. The few days I had the car I used it for my daily routine. Can you make it work as a daily driver? Of course you can, as your parents often said, you can do anything you set your mind to. Is it good at fulfilling that role? Not at all. The closest thing you have to creature comforts are Apple CarPlay (which should be in every car as standard) and air conditioning. 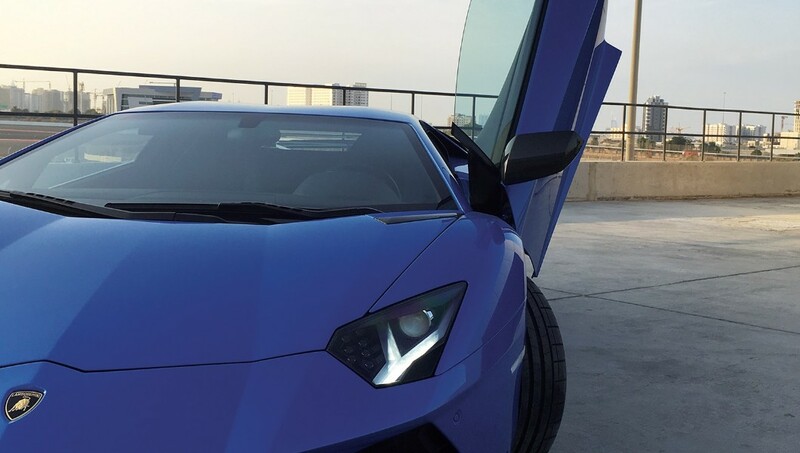 What the Lamborghini Aventador S is good at is making you drive properly. All that power, the sound of the V12 and the new four-wheel steering system engages you as a driver. This is a car that demands to be driven. There’s no sitting back in ‘comfort’ mode with smooth gear changes and a silent cabin. You can hear and feel the gears changing at low speeds. It takes a bit of practice but eventually you can get the first to second gear changes relatively smoothly. Much like last year’s model, the Aventador S really comes alive once that incredible V12 and tyres have warmed up. Cruising at 80 kph, a light touch of the accelerator and you’re soon hitting 120. As your speed grows so will your smile. 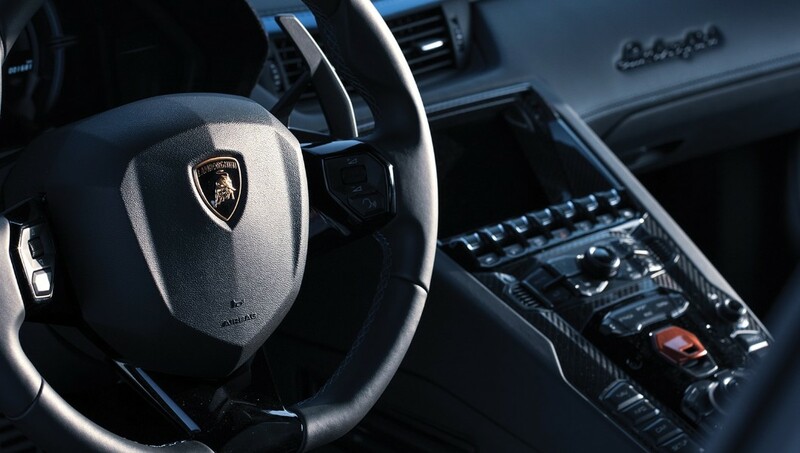 While driving, you forget about the elegant stunning outer shell and become consumed with exploring the nuances and quirks of this raging bull. If you’re in the market for a super car, and spent years idolising the Lamborghini posters on your wall as a younger person, then I would highly recommend a test drive before parting with your cash. I personally enjoy the challenges and experience of driving this car. However, I’m sure it’s not to everyone’s taste. You should also be prepared to refill it on a regular basis – that V12 engine is thirsty. Of course every time you stop for fuel, moths will be drawn to the flame. I would 100% have an Aventador S in my garage. It’s the car that people are scared to touch, but as a driver, it demands your full attention.